Hello guys, I have a little guess. What kind of fruit is this? This fruit has a small round-shaped, a lot of seed and has red color. When for the first time we see it, we would be interested to eat them. This fruit has a sweet taste that is both hot and little wet. This fruit also has a sour taste that is cool and dry. Apparently, this fruit has great benefits for human health. But not many are aware of it. So in this article, we will discuss the benefits of this fruit for human health. So, what kind of fruit is this? anyone who can answer? yes! this kind of fruit is Pomegranate (Delima). Pomegranate fruit actually comes from the Middle East, then spread to the subtropical and tropical regions as well, from lowlands to below 1000 m (above sea level). This plant can grow well in loose soil conditions are not submerged in water. This plant also like groundwater conditions that are not too deep. Pomegranates are often planted in gardens as ornamental plants, medicinal plants, or as an edible fruit. There are three kinds of Pomegranate fruit, there are red pomegranate, white pomegranate and purple pomegranate. Pomegranate can be eaten in fresh condition, but can also be enjoyed as a mixed fruit salad, fruit salad, juice or fruit juice. To make pomegranate juice, it should be mixed with the seeds, because in the pomegranate seeds, there are contain many polyphenolic compounds that are beneficial to the human body. The interesting thing from pomegranate, is as believed by Muslims, that the fruit is brought blessing to humans who eat them. Many benefits can be obtained from this fruit. Not only for health, but also about something else. 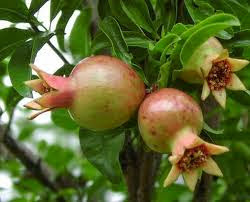 Pomegranate is one of the fruits mentioned in the Qur'an. So clearly the fruit is already getting the blessing of God. In the history written by Ibn Abbas in a hadith, mentions that the pomegranate is considered as one of the fruits of paradise, as the Prophet Muhammad also love to eat this fruit. 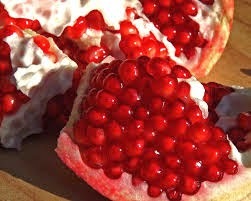 Traditionally, pomegranates are used to cleanse the skin and reduce inflammation of the skin. In Asia, the pomegranate fruit is made into juice, thickened, and then made the sauce. In one glass of pomegranate juice contains more antioxidants than a glass of red wine, green tea, or orange juice. Pomegranate juice is high in potassium ion (potassium), vitamins A, C and E and folic acid. Of the edible seeds, the content of potassium per 100 grams (259 mg / g), energy 63 cal, 30 mg of vitamin C. This component is considered very important for heart health (such as that published by Time, December 2003). In 2008, a study published in the American Journal of Cardiology said that pomegranate can help relieve patients of coronary heart disease and high blood pressure. As for people with cholesterol, by consuming pomegranate juice every day can help lower cholesterol sufferer. The content of polyphenols, tannins, and anthocyanins found in pomegranate fruit can produce antioxidants that are useful for our body. Besides useful for ordinary people, it turns out Pomegranate fruit is also very beneficial for pregnant women. Folic acid found in pomegranate are also useful to help the growth and development of the fetus for pregnant women. Pomegranate fruit can also reduce the risk of Neural Tube Defect exposed fetuses (NTD), and helps the formation of red blood cells so that a pregnant woman will avoid anemia. Vitamin C contained in pomegranate fruit is also beneficial for the maintenance and formation of collagen network. Although pomegranate fruit contains a lot of benefits, but we still have to be careful, because it turns out not everyone can consume pomegranate. Especially for those who are allergic to the fruit, it can have side effects while taking it. Zaitun oil, more familiar with the name : olive oil, is an oil that come from zaitun fruit. This oil so familiar because it has many benefits for human health. It could cure so many illness. This oil also rich with nutrition. Nutrition compound of this oil such are Vitamin A, B1, B2, D, C, E and K. However, not only that, mineral compound like iron, sodium, calcium, and potassium is very abundant. Because of these benefits, there have been many studies and research on this plant. Research at 1999 revealed that mortality rates in Albania classified as low because of consumption habits of olive oil. Olive oil was also studied, it turned out that it has positively affected in the body's resistance to the symptoms of stomach cancer. Olive oil is also considered a healthy oil, it's because the content in olive oil is very rich in unsaturated fats (particularly polyphenols and acids oleic). 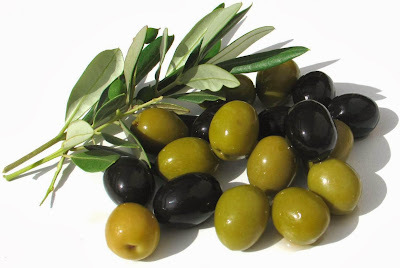 The olive leaf contains oleuropein which are anti-viral, anti-bacterial and anti-fungial. Olive leaf also contains Apigenin and luteolin which is anti-cancer, and a number of other as yet unidentified substances one by one. Free radicals are one of the main causes of premature aging of body cells and cancer. Olive oil is very good for heart health. It can increase HDL cholesterol levels in the blood, which often referred to as 'good cholesterol' thereby reducing chances of suffering from coronary heart disease. Drinking 2 tablespoons of olive oil daily will reduce cholesterol levels in the blood which will help maintain a healthy heart. Olive oil has oleic acid content and high squalene, which is associated with a strong anticancer effect and helps improve the body's immunity. If we want to have an ideal body with diet, it turns olive oil can help make it happen. For those of you who have weight problems may be useful if you are trying to consume olive oil. Content of Olive Oil to suppress hunger hormones are very potent than that created by the body, satiety hormone serotonin present in olive oil is able to suppress your hunger so that you can diet program more easily. 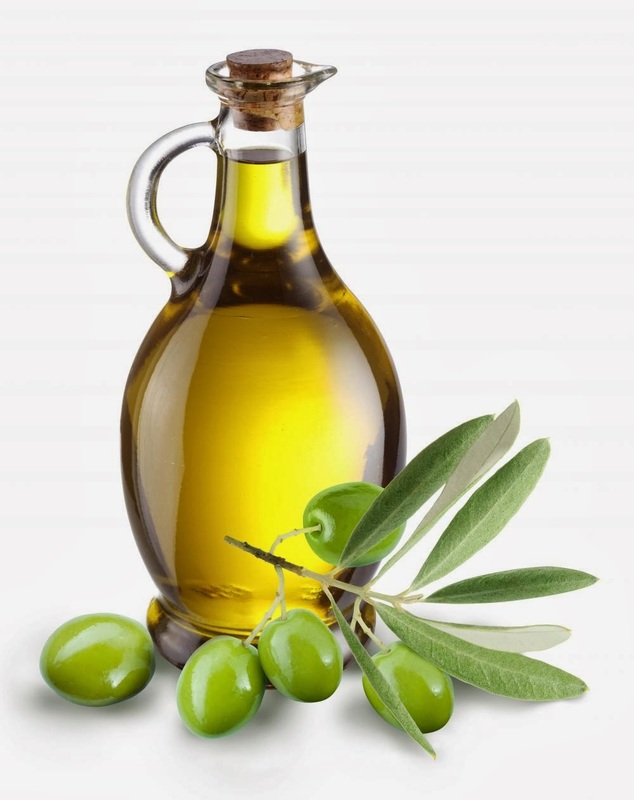 Olive oil can help ward off skin damage caused by exposure to ultraviolet light (UV), such as dry skin, burns, wrinkles, brown spots, and even premature aging. Olive oil is one of the alternatives to be used as fertilizer hair. If you certainly want beautiful hair, naturally bushy and black, then the oil zaitunlah solution. Just simply by rubbing this oil on your scalp and allowed to stand for a few minutes (about 15 minutes) and then rinsed with shampoo, and hair done regularly so that you desire will be achieved. Olive oil is also traditionally used to relieve pain in the wound. Once upon a time, people use olive oil as a topical medication for abrasions, tear and other disorders such as swelling, inflammation and pains in the body, and anti-inflammatory agent ibuprofen can help relieve his pain and other pain injuries. But, it should be noted that we must choose olive oil which is intended to be consumed directly by nutrients is still excellent, such as extra virgin olive oil that is original. Because the level of quality and nutritional olive oil varies, with increasing number freshly made ​​on the olives. The first oil juice is the most excellent. In the market, certain types of olive oil destined for cooking only. Authenticity and manner of storage of olive oil (in a dark glass bottle) also need to be considered in choosing this oil for health.